To the best of my knowledge, this is proving to be the worst ski season since the Blog started in 2010. This Christmas many slopes had no snow at all at and it wasn't just the low altitude ski stations that were affected. Even in famous resorts like Morzine, the lifts remained shut and guests were sent by bus to neighbouring Avoriaz, at which few slopes were open and tickets were rationed to avoid over crowding, I can only guess how hellish that must have been. Then on New Years Eve snow arrived in such quantity that many were stranded on change-over day for hours on end, with motorways and access roads grid locked. The huge dump promptly melted in the subsequent heat wave, leaving pistes bare or icy and off-piste non existent. An awful lot of fresh snow is now needed in order to build a firm, cold base before the strengthening sunlight drives warmer temperatures in February. If this doesn't happen, the season will be a total write-off. At the time of writing it looks like mother nature is providing a much needed top up, but will it be enough? For these reasons I am delaying the start of my 2014-15 tour, which really annoys me, as I was particularly looking forward to rides with both novice riders and the usual suspects. 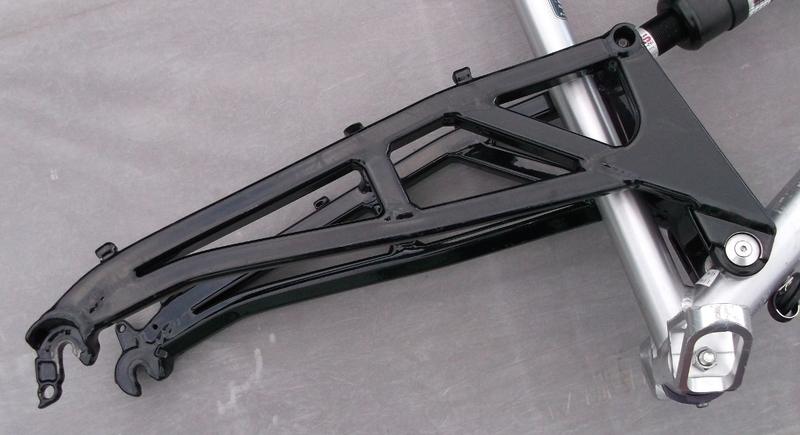 Wayne has written a couple of cracking new skibike design articles and I have finally got round to producing one myself on modifying the Alpine Skibikes conversion kit to give more stable and progressive handling. These topics remain one of the most popular according to the statistics and I will be publishing them to fill in the gaps caused by the lack of touring posts. A lot of new members have joined the group, including a few from the UK with planned holiday trips. There has been renewed interest in Scotland as a skibiking destination, perhaps due to the poor snow cover in regular European resorts. I will need to update the situation regarding skibike access, as I suspect things have moved on since my last visit back in 2010. Two exciting indoor skibiking developments are in the pipeline. I have been contacted by a UK centre that wants to make skibikes and snowscoots much more of a mainstream activity, needless to say, once all the health & safety and liability issues have been ironed out. I have also discovered a local company that has been running weekend trips to Bottrop, Germany from London in the UK. Working with them would really open up the possibility of many more "Introduction to Skibiking" outings in 2015. This would be a fantastic opportunity for skibike virgins to finally take the plunge and break their skibiking duck. 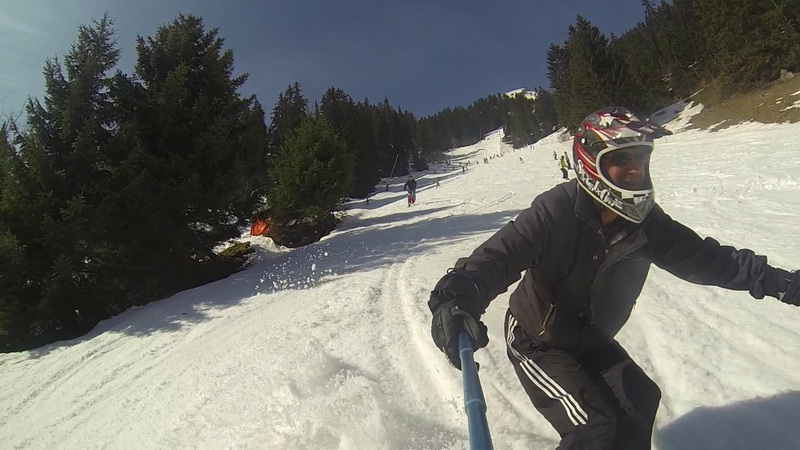 Also for 2015, we have a shiny new European Skibike Association with a bias towards modern era freestyle skibike riding, this is a radical departure from the stuffy, traditional skibob clubs and associations. I expressed a little too much enthusiasm about this prospect and have been drafted in as a board member, mostly to look after the web site. Some cooperation between the European skibike manufacturers would really add to the momentum, so far only SledgeHammer Skibikes are involved, BullSkate, Firem VS and Avalanche Skibikes, please take note. This website is all about the gathering together of like minded individuals to ride the slopes of both Europe and America. I am hoping there will be record breaking snowfall in the forthcoming weeks and I will have the opportunity to get in some quality riding in late February. When the Alpine Skibikes adapter kit system was first introduced, there had never been a similar product available that could so easily transform your much loved mountain bike into a skibike. The emerging freestyle skibike scene was heavily focussed on all mountain riding in Colorado powder and freestyle stunts in the snow park. Controlled carving on European, rock hard, groomed snow just wasn't on the agenda. The Alpine Skibikes design uses a clever concentric spring design that allows a great deal of tilt of the skis, whilst still returning them to a neutral position should you find yourself airborne. It is a neat engineering solution, that reflects inventor Matt Hanson's aviation background. In my experience of using these adapters, for many weeks of riding, spread over quite a few seasons, I began to appreciate that there was quite a fine balance point beyond which the front ski would tuck under and you would find yourself abruptly thrown over the handlebars. This is something that a motor cyclist would call a "high sider" or I might call the "superman" ejection. I was eager to find a solution to this aspect of the design, eventually I saw another Alpine Skibikes user had created a solution. It was based on adding a bicycle crank to the front bracket, attached to the end of the crank was a rubber strap which was looped around the brake arch on the front forks. This is very much a simplified version of the system used on the Lenzsport skibikes, which are noted for their stability and ease of control. I wanted to make something similar, so my first task was to hunt through my garage scrap pile for a suitable crank piece. I found some nice box section aluminium tubing, originally part of a now defunct photographic stand. In retrospect, it is hugely over engineered, but I would rather this than have parts fail on you half way down the mountain. Finding the right type of rubber strapping proved to required a fair bit of searching which eventually lead to Matlock brand cargo straps. These are designed to secure the curtain sides of heavy goods vehicles; any item designed to withstand that level of vibration, across a gamut of temperatures, whilst under constant tension should be up to the task. With all the parts gathered, I spent a couple of hours mocking up the arrangement I had in mind, playing around with locations and working out the correct length of the crank. I intentionally made the bar slightly longer than needed, then drilled a selection of mounting holes to allow for plenty of adjustment for bungee length and tension. The trickiest part of the process, for me, is accurately marking out and drilling the pilot holes, after that you just have to go slow and steady enlarging them to the appropriate size. You can do this by working your way up through drill sizes or use a step drill which saves considerable time swapping drill bits. I never had the opportunity to test the system on snow before the start of the 2013-14 season, but I was delighted to find that the whole system worked perfectly from the start and needed little modification. The straps create a very nice progressive increase in resistance, having little effect on the flat, but saving you from going past the point of no return mid-carve and having the front ski suddenly tuck under. Carving ability was taken to a whole new level by allowing you ride with a much more aggressive riding position, weight well forwards, putting downward pressure on the handlebars. It is also easier to put the skibike beyond regular tail slide drifting and into a totally sideways slide, much more like the classic skier's hockey stop. The increase in confidence created, meant I was much more likely to stand up on the foot pegs, riding in the classic "pegger" stance, rather than seated, as had been my previous dominant riding style. 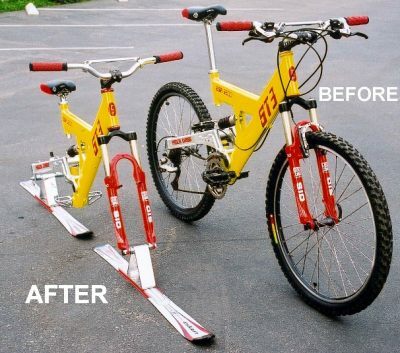 Fellow Blog writer, Wayne Richards suggested that the effect was purely psychological, a case of "Emperor's New Skibike" perhaps? Towards the end of the season and after quite a lot of riding, the curved hooks on the end of the strap began to suffer from metal fatigue and straightened out enough for them to pop out on a number of occasions. As soon as this occurred, the result was to return the skibike to it's old handling characteristics, which usually resulted in a fall. As this happened on the first couple of occasions "blind" without me realising what was going on, it proved that the effect is tangible and not just perceived. For this season I have reversed the position of the rubber straps with the mounting hooks on the outside and secured them permanently with a nut, bolt and washer combination. One downside is that this makes the mounting of skis less convenient than it used to be. In the past I would transport two skibike frames in the boot of my car and keep the Alpine Skibikes brackets mounted to the skis permanently. This made for a quick and convenient method to setting up two skibikes, which could be transported within the confines of my sub-compact car's boot. With the adapters permanently mounted to the frame, I am either going to have to up-scale my vehicle or mount a bike rack to the rear. Even though I have sacrificed the ability to quickly mount and dismount the ski adapters, I still feel it is worth the addition effort, as this; easy, cheap and quick modification makes such a difference to the skibike's handling. Another future modification that would be a real game changer, would be some form of quick release plate, such as those used on professional camera tripods, so that you could pop on and off skis with a quick flick of a lever. Interestingly within days of making my modifications, a second generation of Alpine Skibikes conversion kits were launched with a similar, but greatly finessed iteration of the same layout.